Shopping for Horror Action Figures: Bendables? 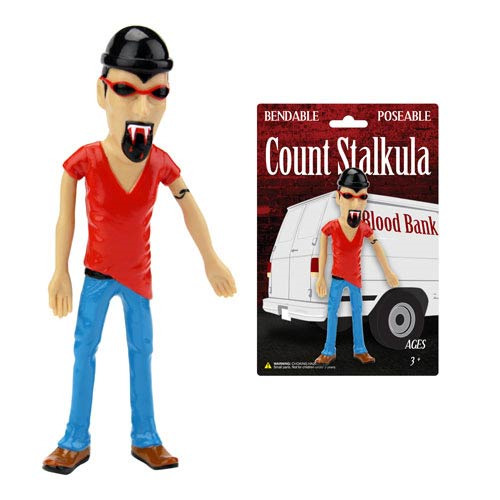 Your favorite neighborhood creeper with fangs, it's the Count Stalkula 6-Inch Bendable Figure! This stylish guy with a thirst for blood wears the coolest red shades around and measures 6-inches tall, so he makes a great display piece and conversation starter at work. Add to your collection of Off the Wall Toys from NJ Croce with this Count Stalkula 6-Inch Bendable Figure! Ages 3 and up.